Air Purification System (APS) | Circul-Aire Inc. 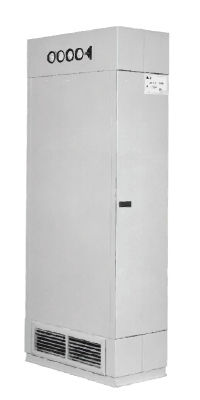 The APS-400 is a compact, self-contained air purification and recirculation unit combining gas phase and particulate filtration; it offers maximum odor and particulate removal at high efficiency. 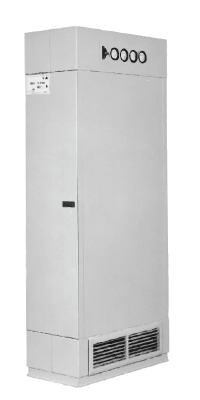 With filters and chemical media readily shipped in the unit, this 5-foot tall purifier is complete with plug, castors, and a disconnect switch or optional speed controller. Ultraviolet filtration section for microbial destruction. The APS-500 represents a high performace system which integrates rugged component materials used by Circul-Aire in the industrial sector. 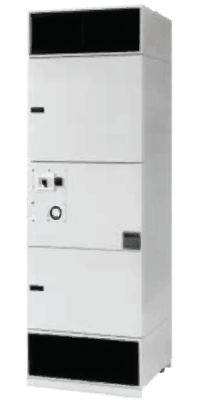 This filtration technology has been adapted and packaged into a compact commercial unit to easily integrate within any indoor environment. Two stages of chemical filtration. Ultraviolet light section option for microbial destruction. Circul-Aire’s APS comes standardized with advanced gas phase and particulate filtration technology. Its design offers maximum contaminant control efficiency. The multi-stage design allows for selection of the required filters in a specific sequence to meet the requirements of each application. Up to three stages of chemical filtration for customized solutions.